Ocean Edge-Completely Renovated! AC, HDTV, Land Line, Spotless! I normally reply within mins or a couple hours (depending when you send the request). We look forward to having you stay at Deane's Ocean Edge Vacation Rental! Please note, if you are booking in June there is no tax collected for that month - just July and August. The VRBO system automatically applies the tax no matter what month. So, if you book in June, your overall cost will be slightly less (by $216). Come and enjoy our completely renovated and spotless townhome and all that Ocean Edge has to offer - pools & hot tubs, tennis, bike trails, close to beach. You will appreciate the short walk to the Fletcher indoor/outdoor pool/spas, tennis, basketball and volleyball courts. You will find few homes that are completely renovated - many have had kitchen cabinets painted, some new counters - check the pics closely. My two story townhome has been completely renovated (new kitchen, carpet, doors, moldings - crown molding, wainscoting, paint, furniture, a/c system, water heater, TVs, name it and it has been updated!) First floor has fully equipped kitchen, dining area, living room, half bath and slider to the private patio with umbrella table and large 3 burner grill. The kitchen is completely renovated with new tile, granite counters, appliances and cabinets. The conventional stairway (meaning, this is a regular set of stairs, NOT spiral as in other units) leads to the second floor with washer and dryer, 2 bedrooms (1 queen in master and 1 twin and bunk beds in second bedroom) and full bath - with granite counter. Both bedrooms are equipped with new split system a/c units that allow for each rooms temperature to be individually controlled/adjusted, each bedroom also has a ceiling fan. The main floor also has individual a/c temp controls as well. Our home is also equipped with 3 flat screen TVs - one in the family room and one in each bedroom, 2 DVD players and board games. We continually update our home, improvements include: flat panel TVs throughout the home (new 50" added to family room - 2019), wifi and landline (if you need to take a conference call/work - note that cell coverage is horrible in this area), ductless a/c throughout home (2016), refurbished half bath (new toilet, vanity, sink, paint) on first floor (2018), new doors and windows, new tile in main bath, new furniture in master bedroom, new hot water heater and a Keurig coffee maker! I take great pride in my home and it shows. I perform all maintenance on my own - cleaning, repairs, upgrades, etc. I could take the easy route and hire a cleaning staff but it's very important to me to know that the house is absolutely perfect when you arrive. I also perform a detailed cleaning of the house twice per year, once in the Fall and again in the Spring. I promise you a very clean and comfortable home should you decide to rent from me. I would also note, you are not just renting another unit, you're renting my home away from home. Please check out all my 5-star reviews! **Please note: Our capacity is 5 occupants, including overnight guests - this is strictly enforced. Also note I only book by the week. I do not book single nights and weekends. 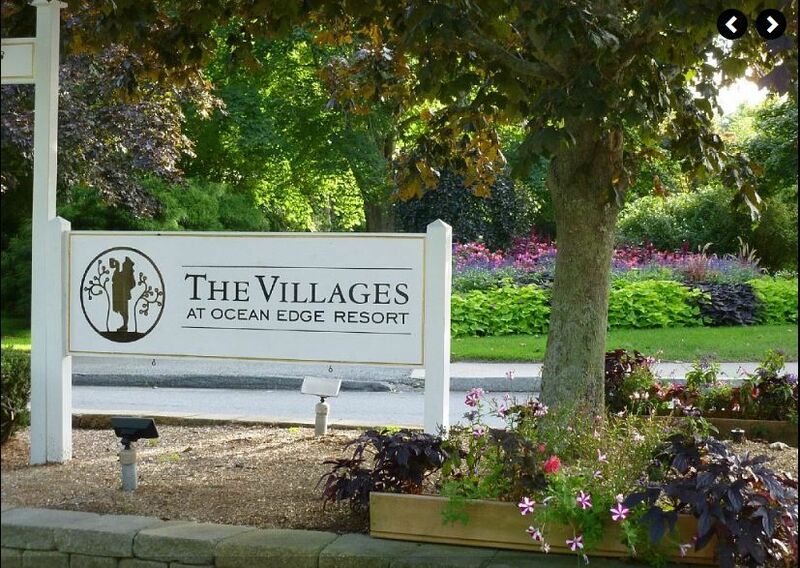 **Please note, Ocean Edge has a strict policy regarding renters and visitors bringing pets/animals onto the property. Per condo regulations, no renter or visitor is allowed to bring pets/animals on to the property or in my home. I have a very strict 'NO PET' policy. If animals (i.e. cat, dogs, etc) are discovered or there is evidence that a pet has been in my home you will lose your security deposit and assume any additional expenses associated with correcting any issues within my home. If you have a service animal this must be disclosed prior to the signing of your contract, along with proper paperwork identifying said animal. **Please note that renter has access to resort amenities (pool, tennis, etc.) at their expense. Pool fees are as follows...For the 2019 summer season, daily fees are $20/adult and $10/child (ages 6 thru 15). Weekly fees are $70/adult and $30/child. Children 5 and under do not require a pool pass. Passes are sold by Ocean Edge Resort & Golf Club and prices are subject to change without notice. I am a member of the resort and can sponsor you to purchase pool passes. If you rent from someone who is not a member you will not have the option to buy these passes and will not have access to the resort amenities. My name is: Sam Deane and I've been taking summer vacations on Cape Cod for as long as I can remember. My uncle owned a home in Dennis back in the 60's - 70's and when he sold it my mom and dad rented for many years. We always made time for the Cape Cod, family vacation - even as we (me, my brother and sister) grew older. I eventually married, started a family of my own and my wife and I purchased a condo at Ocean Edge. We live 14 miles north of Boston and spend as much free time as we can on Cape Cod. I've travelled throughout the U.S. and various places around the world and there's no place I'd rather be more than Cape Cod! Brewster is a great town to spend your summer vacation. It's somewhat like travelling back in time with the General Store, farm stands, no traffic lights, Brewster Whitecaps (Cape Cod Baseball league) etc. The beaches are great - the tide goes out as far as the eye can see which makes for great exploring for the little ones. The location is on the bay side which makes the water a bit warmer and not as rough as the outer Cape. Ocean Edge has so much more to offer then renting a home. There are pools, hot tubs, restaurants, work out facilities, tennis, volley ball and basket ball, etc. The condo is located near beaches and the Cape Cod rail trail (bike path). It's about a 5 min walk to both indoor and outdoor pools and hot tubs, tennis and basket ball court. We like to rise early and grab a cup of coffee at the Lynx (golf club) or the Brewster General Store. If you choose the General Store, you'll feel like you stepped back in time - it is so neat! Also, we like to get muffins, coffee rolls (baked goods) at Ferretti's market before they sell out!...Get there by 8AM or you'll miss out! You must have a drink or dinner at the Ocean Edge Terrace! We added a new split A/C system in 2016 - the entire unit has A/C. I note the entire unit because some condo owners only install this for half or part of the property as it's expensive. A new heat pump was installed in 2016. This unit provides heat and A/C to the entire home. We also have electric baseboard as well. We have a small, stacked system (all units have these small machines). Dryer on top, wash on bottom. Parking is first come first served in the front of the condo, worse case, you park in the overflow lot about 75 feet away (est). Internet - new, added for 2012 season! I stock a variety of seasonings, cooking oil, etc. 3 televisions in all - New in 2019 - 50" HD flat panel in living room, new flat panel in Master bedroom (2013) and new in 2015, flat panel in kid's room. All TV's have cable. Private patio with chairs and umbrella table. Most nights are bug free and allow for outdoor dining. multiple pools, inside and out, as well as in and outdoor hot tubs. We loved our stay, the unit is completely updated, including a split system a/c. I should also mention, it's spotless! The resort has many amenities including multiple pools in and out door, tennis, and all sorts of daily activities for the kids. We can't wait to come back!! Five stars!! Our family including 2 children ages 5 & 7 had a great vacation week at this Ocean Edge condo. This was our first experience renting a condo on the resort and we loved it. The unit was updated, clean and comfortable. We enjoyed all the amenities of the resort , including lots of biking, golf, swimming and kids club. Having access to the CC Rail Trail was great. Sitting out on the patio mornings and evenings was nice and peaceful. We were grateful for A/C as we had a hot August week. Highly recommend and we hope to be back! Thank you for the kind words! It was great having you stay at our condo and we hope to see you again sometime soon! As I've said many times, the resort style vs traditional home rental has so many more perks - access to pools, hot tubs, tennis, golf, on-site places to dine...you name it! As our guest noted, in 2016 we made a large investment in having central A/C installed throughout our entire home. The addition of the A/C has made our home much more comfortable on those hot and humid days that happen often on Cape Cod. Again, thank you for the kind words, have a safe winter and we hope to see you again soon! Our family of five (including three kids, ages 8, 3 and 8 months) has now had the pleasure of staying in this condo three times. Every year there are new updates including a new master bedroom set and new ductless a/c. The kitchen and bathrooms are updated and have granite and new kitchen appliances. This property is very comfortable and the owner is very detail oriented and a pleasure to work with. Highly recommend. Thanks for the kind words! As our guest points out we've continued to invest in our home with the goal of making it a clean and comfortable place for your next Cape Cod vacation. We added a ductless a/c system in 2016. This was a major investment but we felt it was something required given the temp and humidity conditions of Cape Cod. We just came back from a two week vacation and I can confirm the a/c system worked flawlessly! We were so pleased with our Ocean Edge condo we used @ Cape Cod this past Labor Day holiday. It was our first time using VRBO so we were a little skeptical, as soon as we walked through the doors we were greatly pleased. Not only was the unit immaculate, but the owners had thought of every necessity one could need to have an enjoyable vacation. The kitchen was well equipped if you decided to cook, there were games for the kids, chairs for the beach etc. The unit looked just updated w/ fresh paint, granite, beautiful furniture & appliances. There was so much to do on the Cape & the owners even have a book w/ local places to dine, ice cream, drinks etc. There was also swimming, tennis, golf & wonderful paths to walk which we did every day. We will be recommending this place to our friends....Five stars!!!!! Thank you for the kind words, they are greatly appreciated. I'm happy that you enjoyed your stay! I can understand how people may be a bit skeptical about renting on-line. The reality is that you're entering a fairly costly transaction with the hope that the unit you rent appears as nice as it did in pictures. I can assure you, my unit does and always will. I have very high standards, no short cuts - I clean and maintain my property on my own, no hired cleaning crew here. It's the only way that I can be 100% positive that when you enter my home it meets my standards. Also, as our guest points out, I've tried to think of every necessity required to make your stay safe and comfortable. I've created a "User Guide" for the condo, outlining everything from how to obtain pool passes, to safety, to points of interest. As also noted the condo has been refurbished and maintained very well. When you consider all that Ocean Edge has to offer (pools, hot tubs (in and out door), entertainment, sports (ie. tennis & basket ball) why would you stay anywhere else? If you're considering renting at Ocean Edge, please consider renting my home away from home, you will not be disappointed! What a great place, My family which includes 3 boys ages 11, 10 and 6 years old had a great time. The unit was beautiful and showed the owners' pride. The pictures are recent and the unit does look like that. Ocean Edge resort was wonderful with lots to do. Pools, tennis, walking trails, etc. We will definitely be returning. Thank you for the kind words. I'm glad you and your family had a great vacation. I recently updated my pics (9/4/12) they are higher resolution and show some slight changes that have been made to the unit. As the reviewer points out, there are lots of great options outside of the beach at Ocean Edge - pools, tennis, basketball, and even a new work-out facility! We look forward to your return and others that we worked with this season. Great place to stay, plenty of amenities, and perfect location. Thank you for a smooth vacation rental. Everything worked out perfect. The place was spotless, convenient, and plenty of things to do. Very happy. Best spot yet for us over the past 10 years we've been renting. We'll be back again next year. For future renters, make the movie night on Monday at the pool, enjoy the indoor and outdoor pool after a day at the beach, and get out for an early morning walk to see the horses down the road. As mentioned by the reviewer above, I strive to provide people with a smooth rental process and a very clean, comfortable environment for their next Cape Cod vacation. I keep a close eye on the condition of my condo (keeping it well maintained). I clean it myself to ensure that you're getting a spotless unit when you rent from me. I could go the easy route and hire a cleaning staff but it's important to me to inspect the unit right before you turn the key to enter my home. As the reviewer and I have mentioned...there's more to the Cape then just the beach. Try my Ocean Edge condo and you'll see what you're missing!